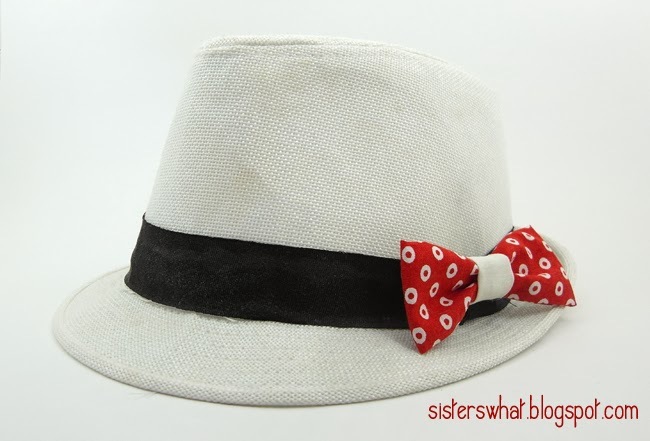 ' Fabric Bows Tutorial - Sisters, What! I was going through my craft pictures and I came across these bows. I made these during the same time I made the snap on bow ties. Since the link for the tutorial for the snap on bow ties is dead, I decided to go ahead and post this bow tie. 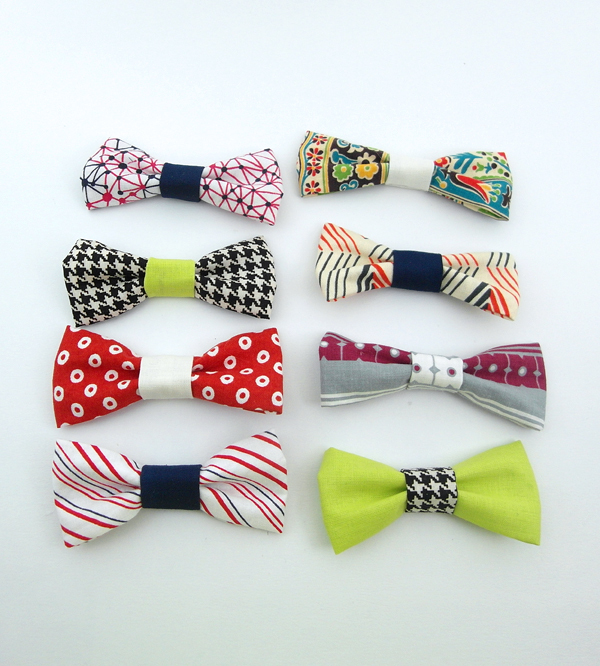 These bow ties are perfect for your hair, your little sweet heart's hair, or your handsome little man. 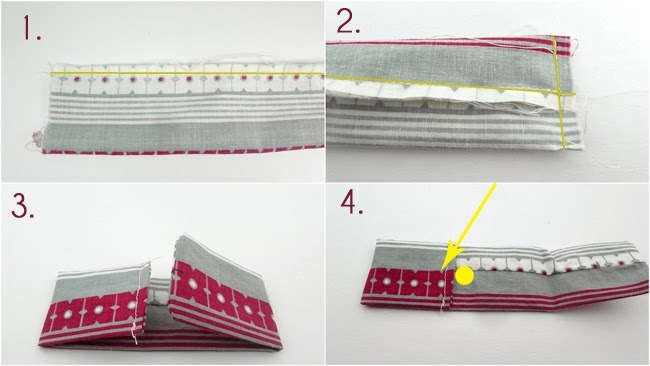 Cut two pieces of fabric, the larger one should be 7×5″ and the smaller one should be 2.25×2.25″. 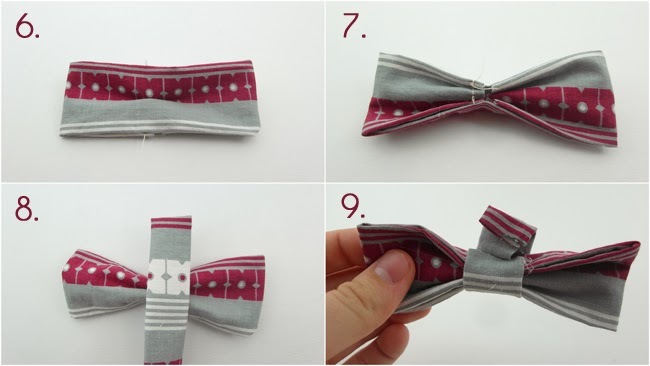 //3//place your bow with the seam side facing up and fold the two short ends towards the center (basically in thirds). Iron. //4// [for sewing and gluing] using hot glue, dab a dot of glue under the center of each fold. [b] fold the short end on each side and use a little dot of hot glue to hold in place. //6// Back to the big piece. Turn your bow over so that the seams are facing down. Now take the middle and pinch it slightly together. You can either hold this together by a quick stitch, or you can hot glue. //7// Now turn your bow over (the bottom side facing up) and bring the sides in. Again hot glue or sew it together. //9// with some hot glue (or you can sew) glue your little piece on. But try really hard to have the end of the little piece to end up on the bottom part of the bow. 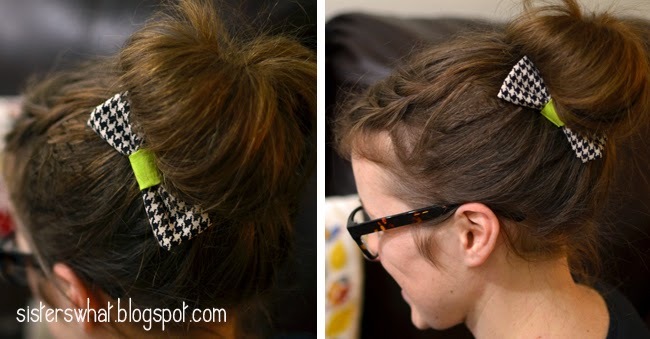 you can easily insert a alligator clip to use for a bun or head band. you can even use the alligator clip to attach it temporarily to a hat. Totally cute! Try some out of leather. These are so cute!!! I'm going to make a ton of these! There are so many things you could do with these! Love them. Thanks for sharing at The Makers! Ooh I love bows! And these are so easy and fun! Thank you for the tutorial!! I was so disappointed when the other link didn't work. What cute little bows! I make some very similar ones for my daughter and her friends and they always look gorgeous!